Members of the ASEAN (Association of Southeast Asian Nation) community, including the Philippines, have witnessed a steady average growth of the plastics industry due to the weakening of most currencies against the U.S. dollar and new trade agreements, stated in a Plastics News report from Germany. With this, local manufacturers must strike while the iron is hot, or make use of the opportunity immediately. 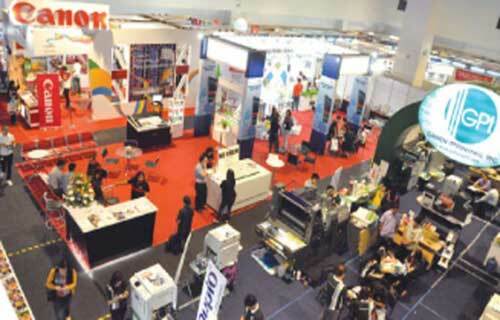 They can do so at Pack Print Plas (PPP) Philippines 2016, an expo specifically focused on the growing plastics, packaging, and printing sectors. Now on its 20th year, PPP is set to happen on October 6 to 8 at the SMX Convention Center Manila, SM Mall of Asia Complex, Pasay. The event is organized by Global-Link MP Events International (GLMP) and will gather the biggest and competitive brands in the industry. “We are more than grateful for reaching this milestone for PPP. It was one of the first trade shows we launched when we started and it’s exciting for us not just to see how much it has grown but also to share that with exhibitors and visitors. We look forward to opening the show on October 6,” shared Jing Lagandaon, COO of Global-Link MP. PPP, being a showcase of various equipment and services, will serve as a venue for stakeholders to connect with their existing and soon-to-be clients who are all looking for cutting-edge solutions and equipment. “As a co-organizer of this event, PPIA has always seen it as a privilege for our organization to be a part of this event. It does not only gather the stakeholders; it also gives our industry a view of the different possibilities that new technologies may bring to our business,” expressed Philippine Plastic Industries Association (PPIA) President Willy Go.